Recent years have seen a rise in new mobility services such as vehicle sharing and ride hailing. Investigating both car-owners and non-car owner’s attitudes towards car sharing, the report found the majority of participants agreeing that car sharing is a great way to have access to cars. Among respondents there was a definite preference for car-sharing scheme over peer-to-peer rental. Whilst respondents were not overall in favour of the idea of renting out their own vehicle when they were not using it, there was a significant shift in opinion between millennials and older generation, with more people under the age of 39 willing to rent out their car, especially is there were financial benefits. Whilst car-ownership has been a possibility for over a century now, and manufacturers have invested vast sums to promote the ideal, the option of car sharing has been quickly accepted with the decade it has been around. Looking to the future there is a positivity towards alternatives to car owning. Enter Mobility as a Service (MaaS). MaaS is the virtual integration and bundling of public transport modes and mode-sharing schemes in London, giving access to all these modes through a single interface payment and ticketing method. Overall, Londoners seemed willing to use MaaS, with the belief that the service would give them flexibility with their travel and remove several of their travel related pain-points. Again, financial benefits are a serious driver for adoption of Mobility as a Service, with 43% saying this would motivate them to subscribe, moving up to 55% in the under 30 age bracket, removing the pain-point of carownership. Regarding MaaS products, the results show that an effective MaaS scheme has to include public transport, with the vast majority of participants preferring MaaS plans which include such modes. The most popular version of MaaS plans chosen includes public transport, car sharing and taxi, with 26% of the respondents choosing this plan. This also shows the importance of integrating the public transport system with other modes available in the city. Shifting to Mobility as a Service could also shift people away from car dependence with a third of car owners agreeing that MaaS would help them depend less on their cars, while a quarter of them would even be willing to sell their cars for unlimited access to car sharing for the next couple of years. Further, 40% of non-car-owning participants stated they would not purchase a car at all if MaaS were available. Beyond car sharing, respondents agreed they would be more willing to try modes of transport they previous did not use before including public transport and borrowing bikes. Just as telecommunications was transformed by the introduction of mobile phones with new features and the benefits bespoke payment plans, Mobility as a Service could transform the way Londoners travel. A thought experiment was also conducted on what participants attitudes might mean in terms of wider impact to London’s transport system. While this is not based on detailed analytical, operational and commercial modelling of the transport network, it provides some indications as to the ways that a MaaS system, if structured and priced appropriately, could make a significant impact in the city. The MaaSLab is an enthusiastic multidisciplinary research team looking to keep at the forefront of the ever-changing transport sector. 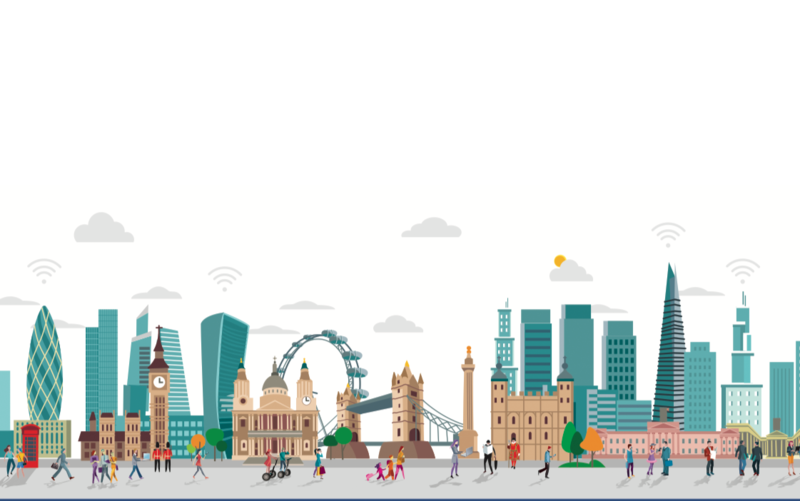 Springing from the Urban Transport and Energy Group at University College London (UCL), MaaSLab aims to keep interested individuals updated on news about MaaS, new mobility services, and cutting edge research findings. We also provide in-depth insights and guidance about MaaS to industry and public sector.